Country but minutes from city life. 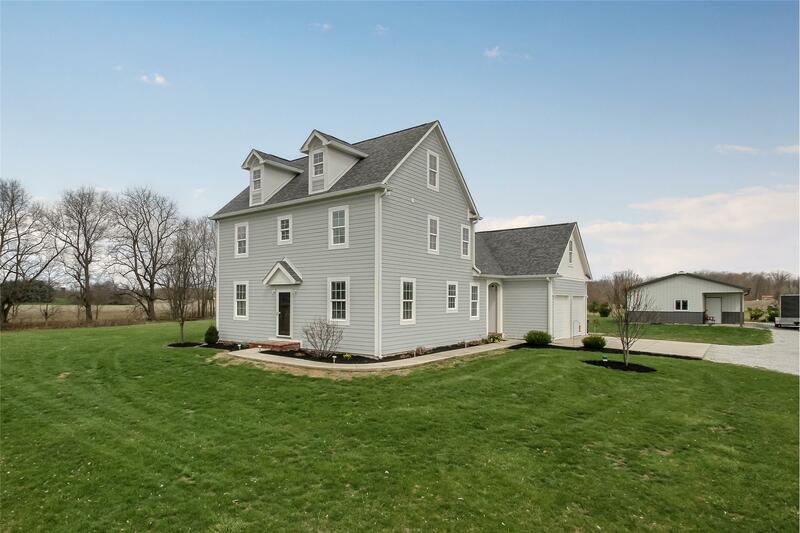 Beautiful 7.7 tree lined acres w/3 story farm style house 5 yrs old. Maple hardwood floors throughout main level.Sunny kit includes all SS appliances, 2 pantries,lots of cabinet space & breakfast room. Formal DR, large GR opens to outdoor patio, BA & laundry room w/utility sink complete the main floor. 3 Bedrooms up w/finished bonus room, 31x13 on 3rd floor & finished attic for a total of 3350 sq ft. Master bedroom has walk-in closet, Master bathroom has double sinks, tiled shower, jetted garden tub & water closet. 2 car garage & 32x24 pole barn.